Prevista entre el mar. 21 may. y el jue. 6 jun. Keep your small pet safe and secure during transportation with the Trixie Travel Box. 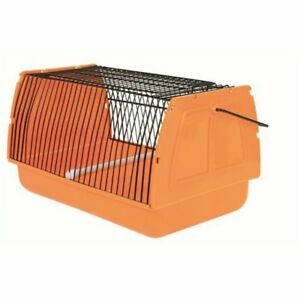 Weighing 1.23 pounds and measuring 30 x 18 x 20 cm, the travel box is robust and ideal for carrying small to medium-sized birds, hamsters, mice, gerbils, guinea pigs, rats, and more. Its bright and airy design provides a comfortable temporary environment to ensure your precious pet has a stress-free journey during transportation. Se requiere el pago inmediato de GBP 11,79.